Here are examples of how CEC creates custom solutions for numerous and far-reaching scientific challenges, by using building blocks from its extensive library of proven RF transmitters and power supplies, DC power supplies and ancillary equipment. The Los Alamos Neutron Science Center chose CEC to assemble and manufacture a new generation of VHF power amplifiers used in its high-power proton LINAC. Isotopes produced at Los Alamos National Laboratory are saving lives. Strontium-82 produced at Los Alamos is used in hospitals nation- and world-wide for critical cardiac imaging. CEC’s precision manufacturing expertise in High-Power RF amplifiers was deemed critical by LANSCE for optimizing performance of its advanced Final Power Amplifier (FPA) design. The new FPA replaced an aging system within the LINAC enabling higher average power, improved operational efficiency, reduced beam losses, & improved low-level RF (LLRF) controls. CEC’s first contract was to manufacture two HV decoupling / blocking capacitors, specially designed and fabricated for LANSCE’s FPA, and not available from any component supplier. First production FPA was awarded CEC in 2012 and delivered in 2013. Two additional FPAs were delivered in early 2014 with two further FPAs delivered in 2015. The FPAs are installed in pairs in the LANSCE 201.25MHz Drift Tube LINAC (DTL), power-combined to produce 3.5 MW at 12% duty factor, or 420 kW average RF power for each pair. LANSCE has relied on Continental’s High-Power RF expertise to implement their new generation of high power FPA’s, delivering high peak AND high average RF power at 201 MHz, while maintaining high availability required in LINAC service. Continental Electronics designed, manufactured, and delivered to Brookhaven National Laboratory two RF Power Amplifier systems operating at 100.625 MHz, each producing 350 kW peak-power pulses. 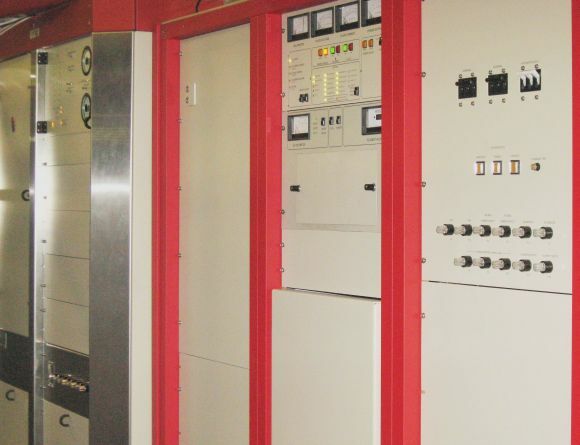 The Power Amplifiers, designed and built specifically to Brookhaven’s specifications and awarded to Continental by competitive contract, were employed as part of the Electron-Beam Ion Source (EBIS) program. The Electron-Beam Ion Source (EBIS) program was proposed by Brookhaven scientists to provide a replacement for the prevevious Pre-injector in Brookhaven’s Relativistic Heavy-Ion Collider (RHIC). The new heavy-ion Pre-injector comprises the high charge-state ion source and a Radio Frequency Quadrupole (RFQ). The new pre-injector is a reliable, low-maintenance Linear-Accelerator (linac)-based facility. Linac-based pre-injectors are now used in many other accelerator and collider facilities. Each of the RF Power Amplifier systems supplied by Continental operates at 100.625 MHz, and each produces 350 kW peak-power pulses for the RFQ and the Linac. Pulse duration is 1 millisecond, and pulse repetition rate is 5 pulses per second. Continental Electronics has earned recognition in scientific circles with its 1MW planetary radio transmitter, a key component behind the Arecibo Observatory’s radio telescope. 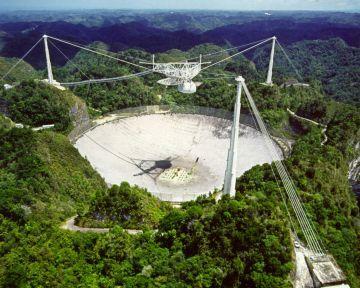 The Arecibo radio telescope is the world’s largest single-dish radio telescope. With the support of CEC’s engineering expertise, NASA scientists were able to map the moon in preparation for the historic lunar landings.